In the early days of Plain Or Pan I penned under the nom de plume of Phil Spector. I suppose it was a combination of being embarrassed to put my real name to anything that might read like a 3 year old’s best efforts and the fact that I didn’t really want anyone to know I had a sideline in writing about old music that kept me from using my own actual name. 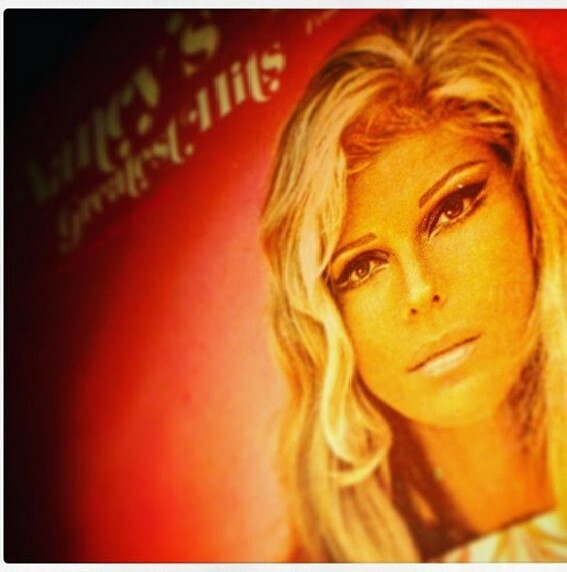 Things came to the fore when my daft pseudonym cost me the chance of an interview with Nancy Sinatra. “Why on earth would I want Phil Spector to interview me?” she growled, not quite getting the fact that it wasn’t yer actual Phil Spector who’d been in touch. “He was a strange, strange, man and I want nothing to do with him.” At the time, Nancy had been working with a still-hip Morrissey, and I was hoping to base our interview around the recordings they’d been making. Alas, it never happened. Shortly afterwards I was contacted by someone who wanted me to interview Sandie Shaw. By coincidence, another iconic singer with connections to Morrissey, this was too good an opportunity to pass up. There and then I dropped the pretence and proudly added my own name to the by-line in every article I’d written here. 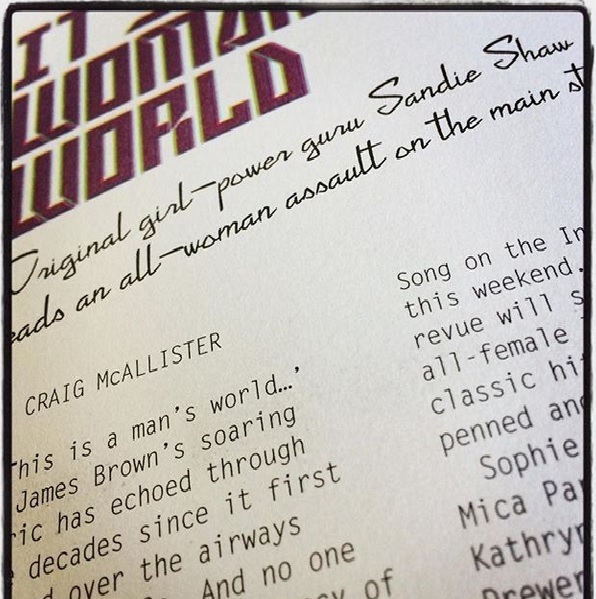 The subsequent interview and article with Sandie (where she name-dropped Morrissey, Debbie Harry and Siouxsie Sioux within the first 5 minutes) became the first piece of paid writing work I’d ever done. Anyway, back to Nancy S. I’ve had her Greatest Hits rotating recently, a scratchy, crackly 11-track best of that I picked up for 50p (!) in a wee junk shop just off of Glasgow’s Byres Road. Much of it is kitsch nonsense, the sort of stuff that, had she not been the daughter of an icon, may well never had been afforded the attention it got. The material she recorded with Lee Hazlewood though is fantastic, a heady combination of female/male, light/shade, sweet/sour on record. Sinatra’s voice is cutesy-cute, all light and airy melodies blown in from Hit Factory central. Hazlewood rumbles in like a gothic cowboy, with a voice deeper than a well and twice as dark. Together, they make the sound of milk chocolate and dark chocolate on vinyl. Some Velvet Morning is the one for me. Druggy, fuggy and full of sexual innuendo, it’s a psychedelic pop masterpiece, miles away from the light and airy country pop that defines many of their duets. Hazlewood takes the lead, gliding in on a bed of Barry-esque strings with a baritone that could rattle the lids on the coffins of the dead. He gives way to Nancy, fluttering in like a waltz-time muse. “Sing like a 14 year old who fucks truck drivers,” he instructed, with the blessing of ol’ blue eyes himself. Can you imagine anyone getting away with that nowadays?!? The whole thing see-saws back and forth, a call-and-response danse macabre. Had it popped up soundtracking The Wickerman or a crucial scene in a Tarantino movie you wouldn’t have been surprised. Quentin T. may yet find a use for it in the future, I feel. Musically, the record is very rich. With instrumentation by the famed Wrecking Crew, it’s lush yet louche, wonky and weird and wonderful. The other high point of their collaborations is Summer Wine, a track that has all the makings of a great lost Bond theme. There’s the innocent female vocal, parping brass and a not-so-subtle nod to all things Bond with the addition of John Barry’s ubiquitous 5 note signature theme midway through. The Lee/Nancy thing was done to great effect by Mark Lanegan and Isobel Campbell a few years ago. A post in the near future for sure…. As a bonus for now, here’s Lee’s version of Nancy’s signature theme. It’s a cracker. And here’s Let Me Kiss You, Nancy’s take on the Morrissey track that led them to find one another, the song I never got to ask her about. Hey ho. Morrissey has quite rightly come in for a lot of stick in recent times, and whether he still holds a place in your heart or not, you can’t deny that his performance in the background of this record is vintage Stephen.